The Hollyhocks are doing well in the garden and with the sunshine I have found the Tetralonia returning to the Hollyhocks. I am ever grateful to a commentator, el. gritchie, who pointed me in the right direction when I was totally unaware of this genera. 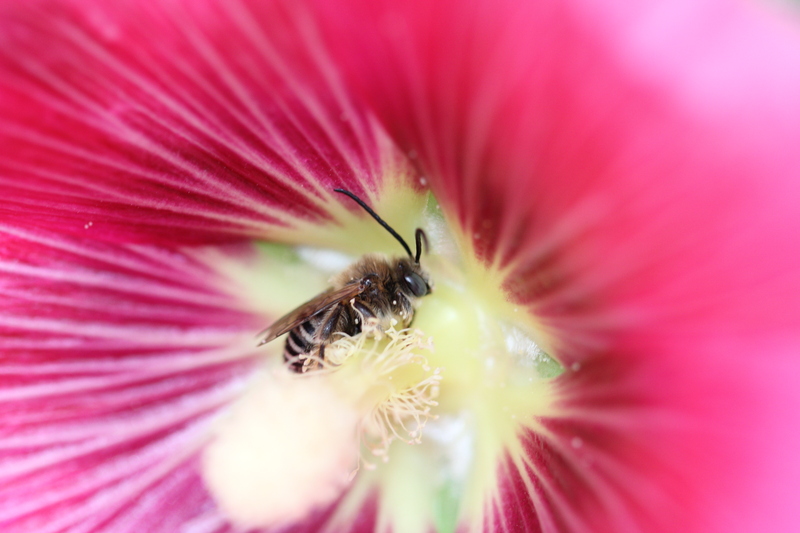 I love checking out the hollyhocks in the evening as there are always Tetralonia bedded down from the night. 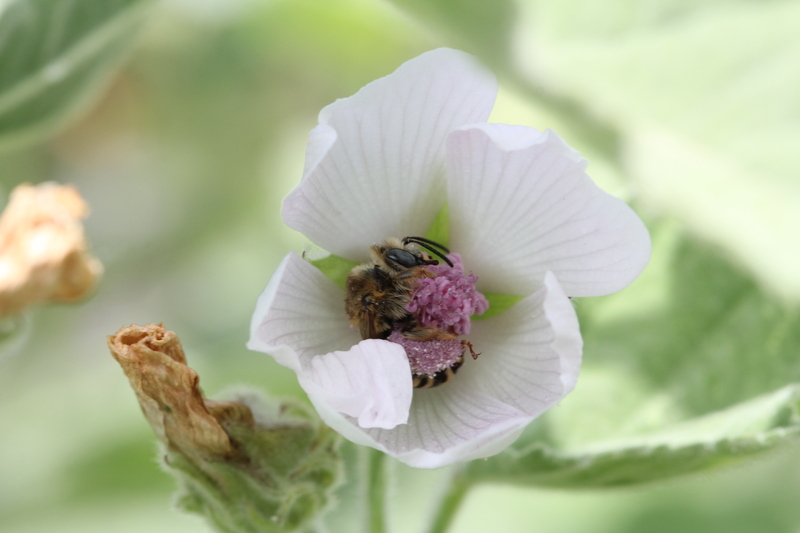 Hollyhocks are Alcea, part of the mallow family Malvaceae. 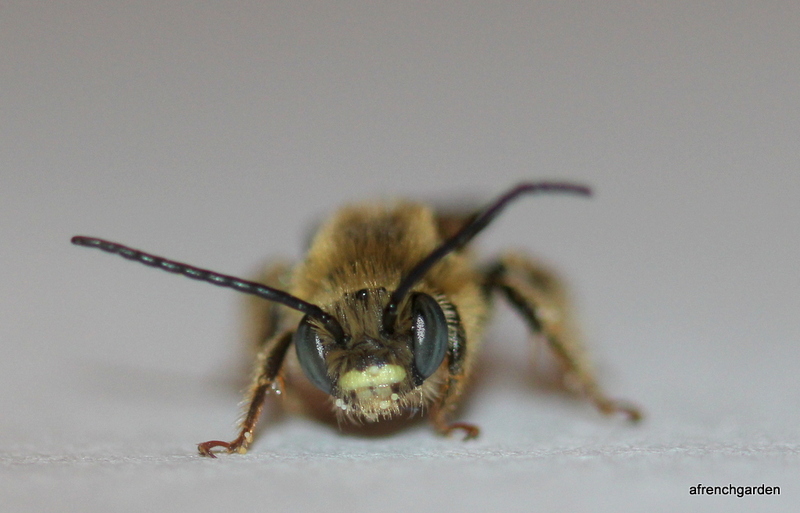 This would point to an identification of Tetralonia malvae for these bees. However, I can find out very little information about them and so I could easily confuse them with other species in this genera. 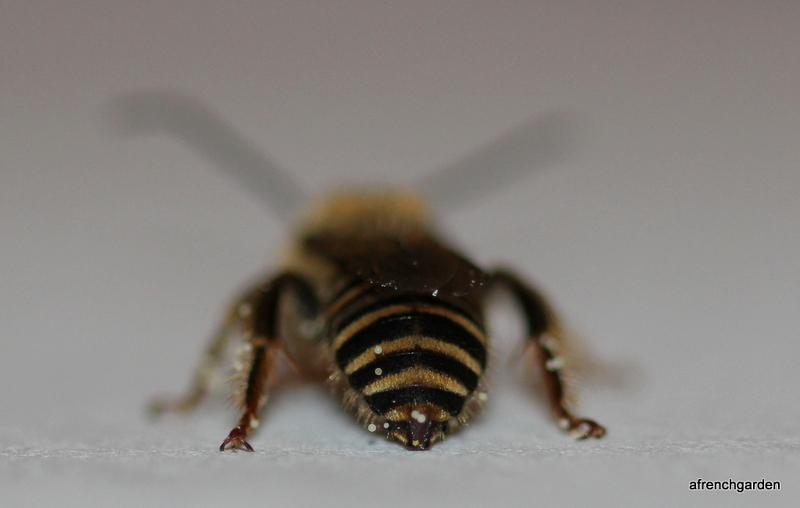 I took the opportunity to pop this poor unsuspecting bee into a plastic pot after it had settled down for the night in one of my hollyhocks. After a little while in my fridge he was even sleeper and I managed to take some posed photographs. Unfortunately, I am really none the wiser at the moment but I now have some photographs for future comparison. 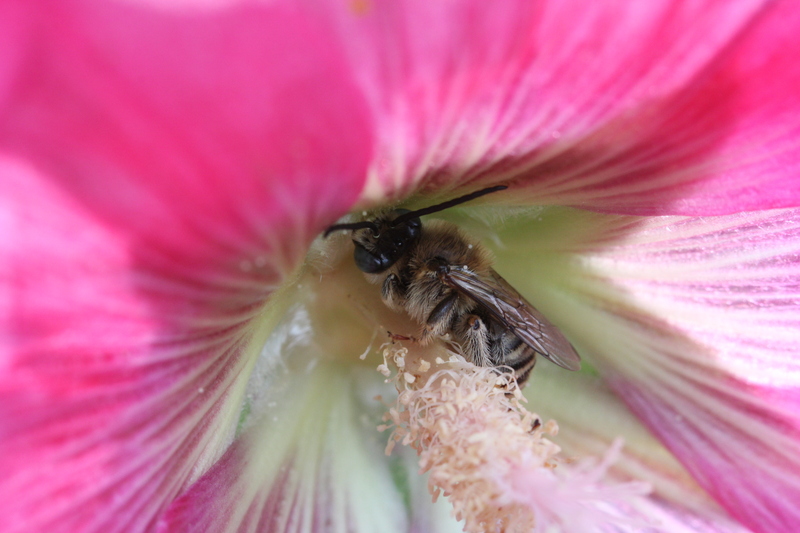 He was then placed back in the same Hollyhock. I have noticed they can return to the same flowerlet on subsequent nights. 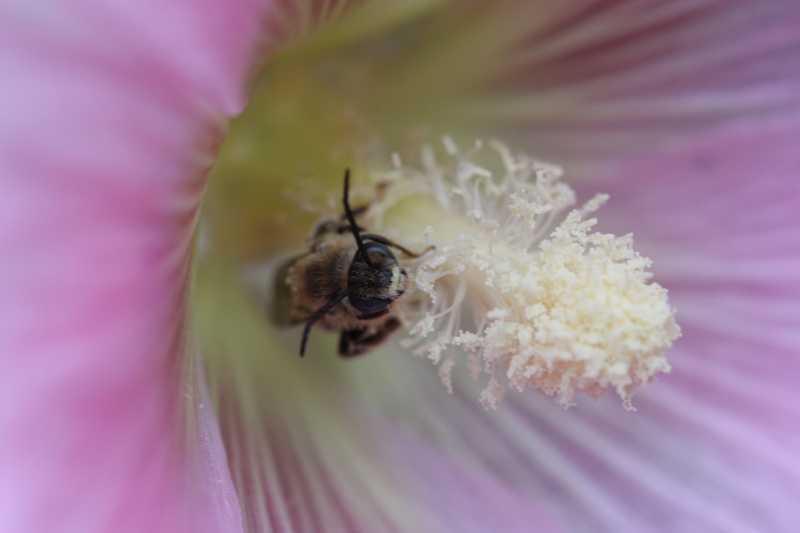 The hollyhocks provide good protection from the elements during the night and I suppose there is a fresh supply of nectar ready in the morning. I have another beautiful plant in the garden that also grows in the woods nearby. 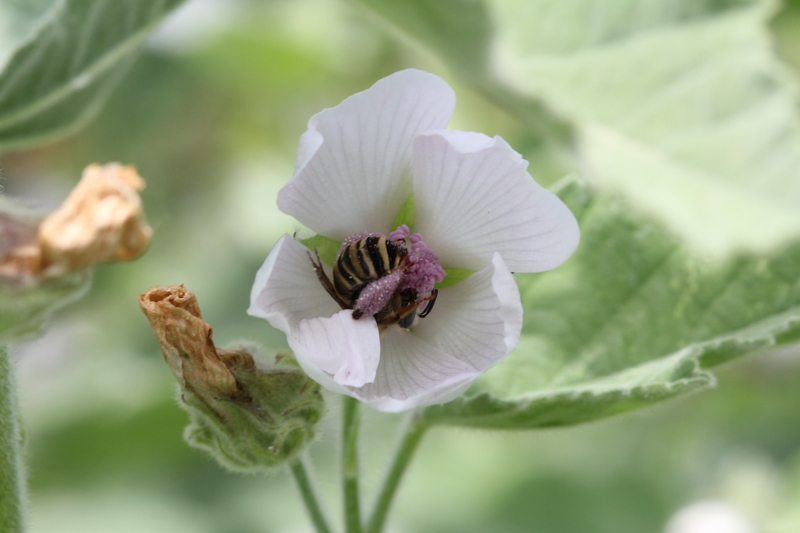 It is Althaea officinalis, that is Guimauve or Marsh Mallow also from the family Malvaceae. The marshmallow pink colour of the Guimauve pollen makes the female Tetralonia even more spectacular.